Chest congestion is a tight, heavy feeling in the chest. This feeling comes from the lack of movement of air through the respiratory tract and lungs. Movement is affected by a build up of mucus or phlegm. The mucus is normally there to stop your airway from drying out as you breathe, and to stop dust and bacteria from reaching the lungs. When mucus production becomes excessive due to a trigger like illness or allergy, chest congestion will occur. Although your chest may become tight when you suffer from a cold or flu, there are other, more serious causes of chest congestion. Signs of a more serious condition are a very high fever, chest congestion that does not clear up when your other symptoms do, or not being able to breathe after doing what you can to unblock your nose and chest. Be aware of your own body – if in doubt, see a doctor quickly. Most of the causes of chest congestion are not serious. However, chest congestion that does not clear up within a few days should be investigated thoroughly, as it can indicate a more serious or even life-threatening condition. If in doubt, see a medical professional and have a complete check up. Infections are the most common cause of tightness and discomfort in the chest. Most are viral and the symptoms will pass within a few days. Bacterial infections are more likely to cause severe symptoms and may need an antibiotic to clear up. If you find your illness getting worse after a couple of days, and develop a high fever, it is likely that your infection is bacterial. Antibiotics are of no use in treating viral infections such as the common cold. Allergies to dust, molds and grasses can cause congestion in the chest and sinuses. Sometimes this is demonstrated as allergic asthma, where the inflammation of the bronchi causes difficulty in breathing. An undiagnosed allergy can be a cause of chronic chest congestion or recurrent cases of bronchitis. Once the allergy is treated, or the trigger is avoided, the congestion symptoms will be relieved. Chronic Obstructive Pulmonary Disease is a general term for a group of chronic conditions affecting the chest. They are usually associated with long-term tobacco smoking., but can also be triggered by exposure to smoke and air pollution. Examples are emphysema and chronic (recurring) bronchitis. This is a more unusual illness triggered by inhaling airborne particles into the lungs. This is normally due to working or living conditions. Various particles can cause inflammation of the lungs, examples being coal, asbestos, silica and beryllium dust. Long term exposure to these particles can be a cause of lung cancer. 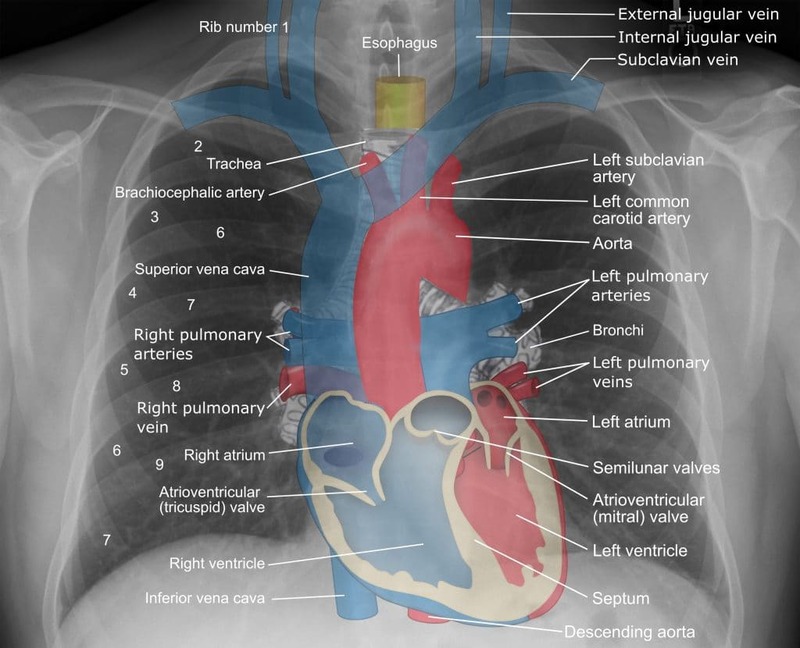 Pulmonary edema is a build up of fluid in the lungs caused by a variety of conditions. As the symptoms are similar to common chest congestion, including coughing, tightness in the chest and breathing problems, it needs to be ruled out in serious or chronic cases of congestion. There are many simple techniques and home remedies for chest congestion that you can use for chest congestion relief. If these do not work, and your symptoms do not improve in a few days, you need to see a doctor to get rid of chest congestion instead of relying on home remedies for chest congestion to rule out any serious conditions. Steam inhalation is the first thing you should do for chest congestion relief. Follow the process given below to get rid of chest congestion. Pour boiling water into a bowl. Add a few drops of peppermint or eucalyptus essential oil. Cover your head with a towel and breathe the steam in deeply. You will feel your nose and chest unblocking as you breathe. Other useful additions to your steam inhalation are bay leaves and fresh thyme. An alternative to boiling water is to inhale the steam from boiled vinegar. Be careful, though, as it can froth up and burn you. Only boil a small amount at a time. Gargling with salt water will help to break down the mucus build up in the throat and prevent a postnasal drip. Boil a cupful of water. Add 2 teaspoons of salt. Stir. Let it cool down until just warm. Gargle for a couple of minutes. Repeat 4 or 5 times a day. 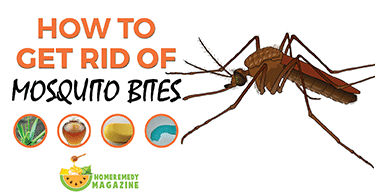 To increase the efficacy of this treatment, add a pinch of turmeric powder to the water. Coughing and sneezing can cause all the muscles in your chest to tighten, adding to your discomfort. A hot water bottle wrapped in a towel can be held against the chest to loosen sore muscles. Adding a few drops of peppermint or eucalyptus oil to the towel will help to clear your nose and chest as the muscles release. Add a lemon wedge to a cup of hot water and let it steep for five minutes. Adding honey will increase the antibacterial effects. You can also use lemon water for gargling to relieve a sore throat. Add a small piece of fresh ginger and a few black peppercorns to hot water. Let it steep for a few minutes, then strain. Add honey and drink two or three times a day. This can also be used as home remedies for cough. Add a teaspoon of powdered ginger, plus a pinch of cinnamon and cloves to a glass of hot water. Soak, filter and drink. A simple, old-fashioned remedy for sore throats and colds, a hot cup of tea with a squeeze of lemon juice and a spoon of honey is very soothing. Two or three cups of black coffee consumed quickly will help to clear mucus and alleviate headaches caused by sinus pressure. Be careful about caffeine consumption when sick though, as you can become dehydrated quickly. Remember to drink plenty of water and watch out for added caffeine in cold and flu pills. Down a shot of apple cider vinegar! This does not taste good but is very effective in clearing mucus and treating a sore throat. Its antibacterial properties make it an essential fighter against infection. Add half a teaspoon of turmeric powder, a pinch of black pepper and 2 teaspoons of honey to a cup of hot milk. This is a great anti-inflammatory drink. However, do not drink it too often when congested, as dairy products can increase mucus production in some people. When you feel a cold coming on, you can prevent it from going to your chest by taking some simple steps early on. Steam inhalation, using a bowl of steaming water, or simply standing in a hot shower. Using a dehumidifier in your bedroom to prevent over-production of mucus. Peppermint or eucalyptus drops on the underside of your pillow while sleeping will help to keep your chest and nasal passages open. Do not smoke, and avoid second-hand smoke and air pollution if at all possible. Avoid known allergens, such as grass or dust. Stay clear of anyone ill, to avoid contracting a secondary infection while your immune system is fighting the cold. Take a zinc supplement to help your body combat the cold. Eat a healthy diet full of a variety of fruits and vegetables to help your body recover quickly. It is never pleasant to feel tightness in your chest or struggle to breathe. 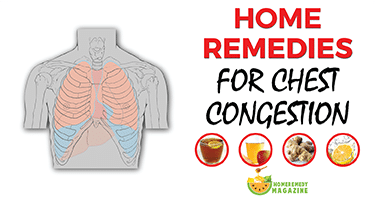 By using these simple home remedies for chest congestion, you will be able to weather this common health condition with less fuss. By clearing your chest at home, you may avoid having to visit a doctor every time you get a cold or flu. Remember to see a medical professional if your condition does not improve quickly.